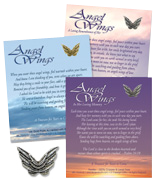 Show someone you're thinking about them by giving them Angel Wings. Measuring approximately 3/4", made of 100% copper and lead free pewter or 14K gold plated. 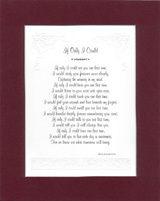 Available with five poem choices: A friendship poem for any occasion; A Loving Remembrance for a male; A Loving Remembrance for a female; In Loving Memory for a boy; and In Loving Memory for a girl. 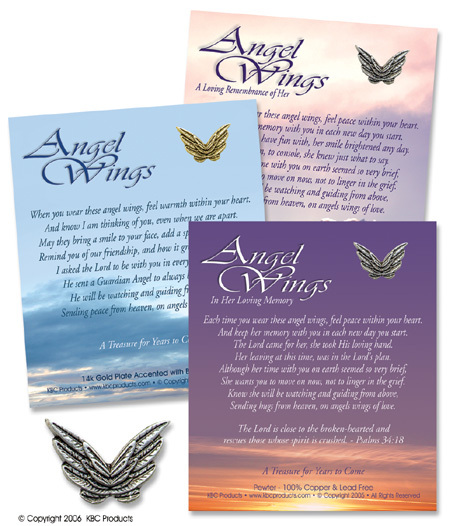 The Angel Wings bring comfort to someone who has lost a loved one. 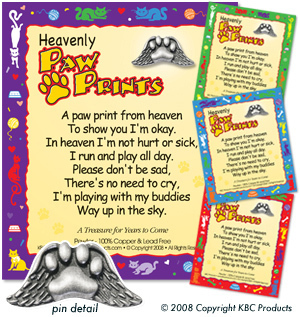 Packaged individually on a card with a beautiful poem. 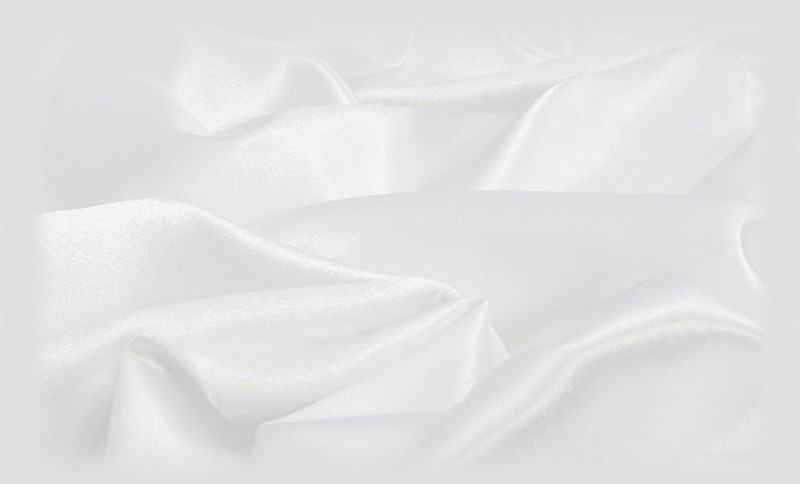 A white cotton handkerchief with a lace border makes the perfect gift for someone that is hurting for any reason. Lace patterns will vary. 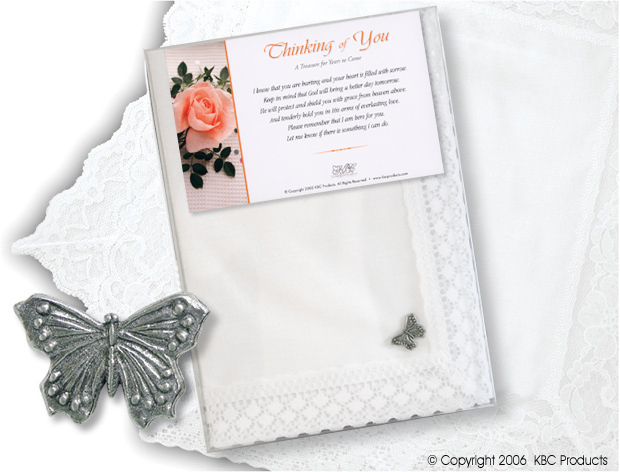 Included is an intricately detailed pewter butterfly lapel pin. Made of 100% copper and lead free pewter. Packaged in a clear gift box. These words bring comfort to someone who has lost a loved one. It tells us to "live each day in awareness, for we know not what tomorrow will bring." Embossed paper. Packaged in cellophane sleeve. Very special keepsakes for the loss of a loved one. 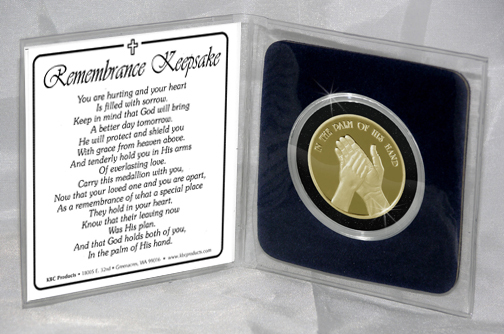 These medallions, designed and minted exclusively for KBC Products, show the open palm of a man's hand holding a child's hand symbolizing the Lord holding our hand since we are all God's children. 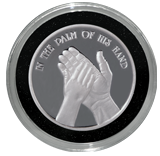 The back of the medallions have a decorative border around the perimeter with the center left blank to accommodate engraving. Available in genuine brass or .999 fine silver. 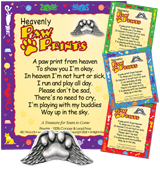 Packaged in an airtight container, in a clear plastic flip with a sentimental poem.